Estée Lauder New! 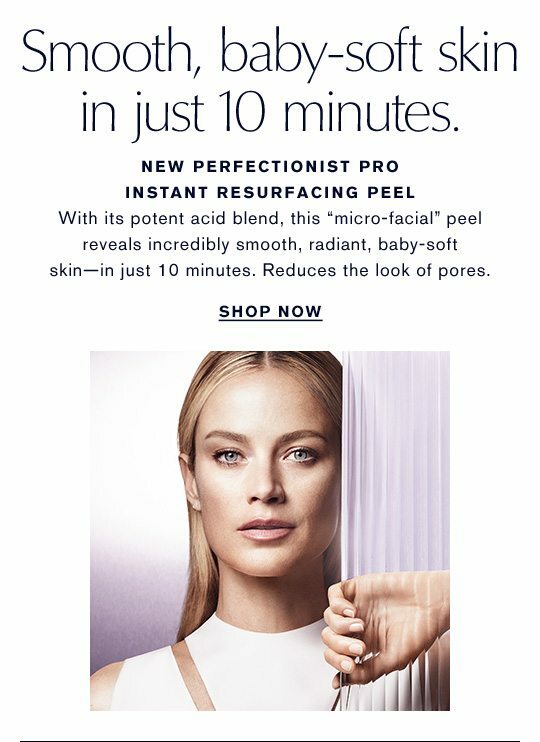 Incredibly smooth, baby-soft skin in just 10 minutes. *Offer begins at 12PM EST on 1/23/2019 and ends at 11:59PM PST on 2/14/2019. 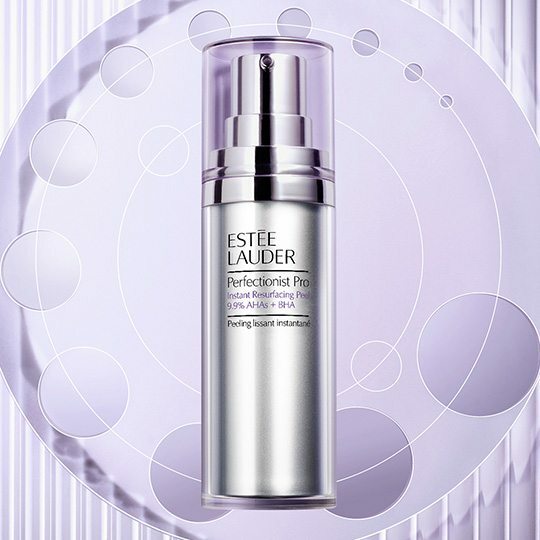 Choose your free gift with your purchase of $45 or more at Esteelauder.com. 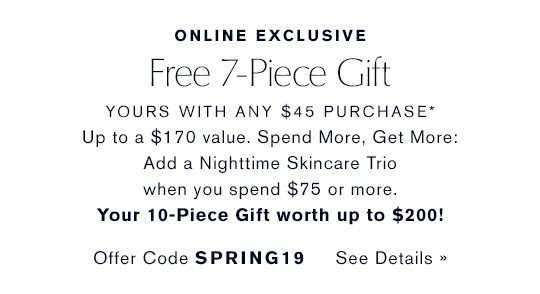 Purchase $75 or more and enter offer code SPRING19 at checkout to receive one free Nighttime Skincare Trio. Offer available to U.S. residents only. Offer available to US residents only. One per person and one offer code per order. Quantities are limited. While supplies last. Offer may not be used in combination with any other offer or discount. Free items are not eligible for returns or exchanges. Pro Members and employees are excluded. Applicable purchase amount does not include the purchase of egift cards; gift wrap fees; engraving fees; shipping and handling; sales tax; items noted as not eligible; items that are not in stock at the time of purchase; pending purchases or purchases made prior to the start of the offer or after the offer ends. All purchases are subject to bank authorization prior to processing. Only authorized purchases will be processed and shipped. Allow up to 3 business days for processing and 1 day for overnight shipment. We reserve the right to cancel any order due to unauthorized, altered, or ineligible use of offer and to modify or cancel this promotion due to system error or unforeseen problems. We reserve the right to substitute any free item offered with an item of equal or greater value. Offer is subject to change without notice. Other restrictions apply.